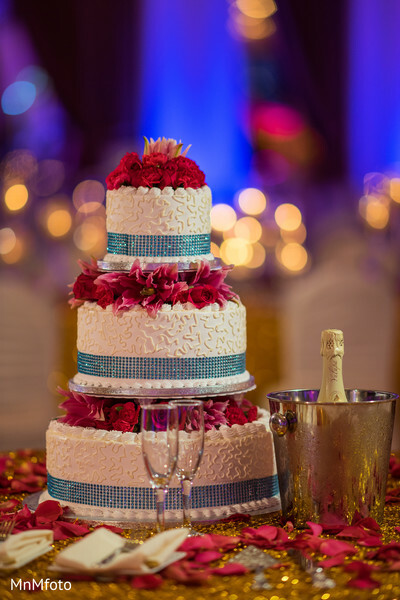 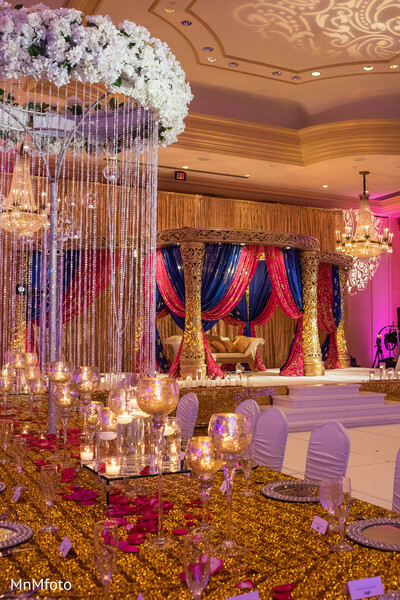 Prashe has transformed the ceremony space at the Hilton Houston Post Oak into an unforgettably luxurious party palace, and the Indian bride and groom of the hour have just arrived in true-to-life Maharani style. 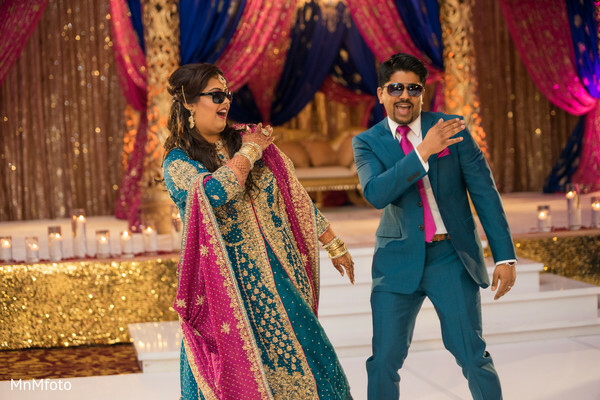 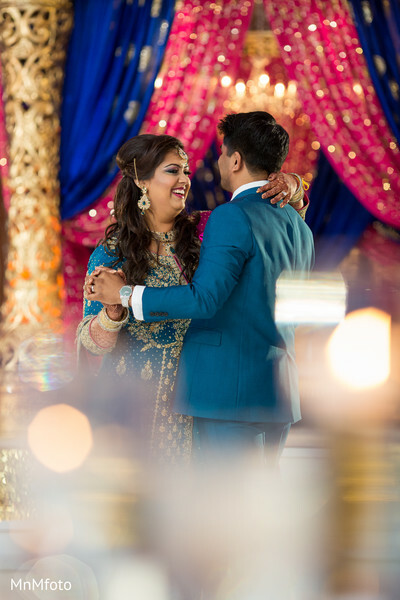 Janoo is dazzling in a teal, magenta and gold reception lengha, and her brand new hubby is rocking his terrifically tailored teal suit and hot pink tie just handsomely! 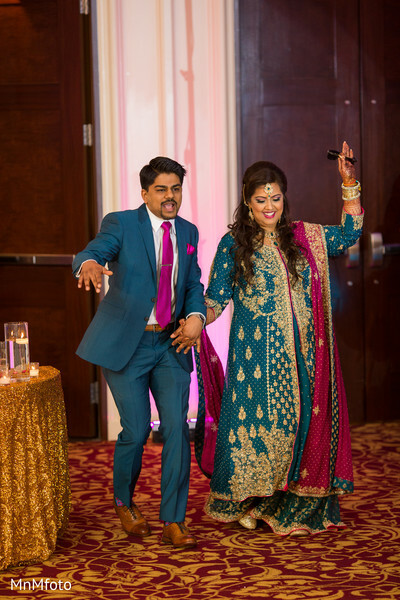 The newlyweds are all smiles, and why wouldn't they be after K.I. 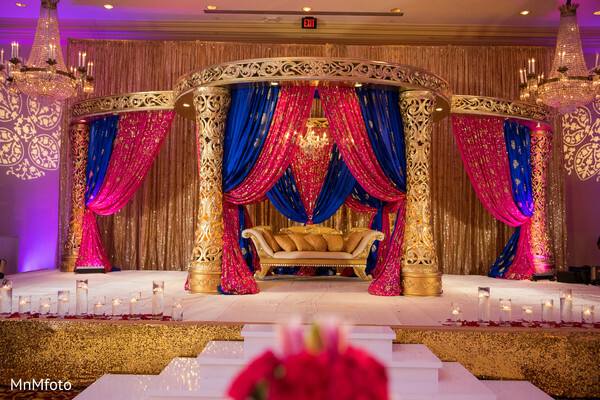 Weddings has helped them realize the day of their dreams by planning the perfect Indian wedding event in their honor? 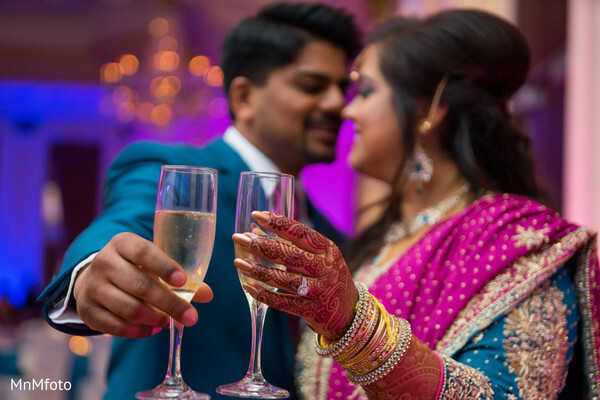 Check out all of these extraordinary post-ceremony portraits and candid shots taken by MnMfoto at their reception and try not to smile! 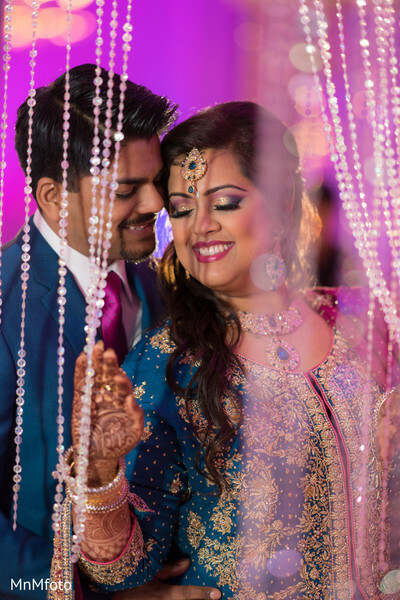 You'll be grinning even harder once you head into the complete gallery and revel in every single exquisite detail from this phenomenal celebration, including an awe-inspiring look at Infinite Perfection's mehndi marvels and all the picture perfect portraits you can imagine! 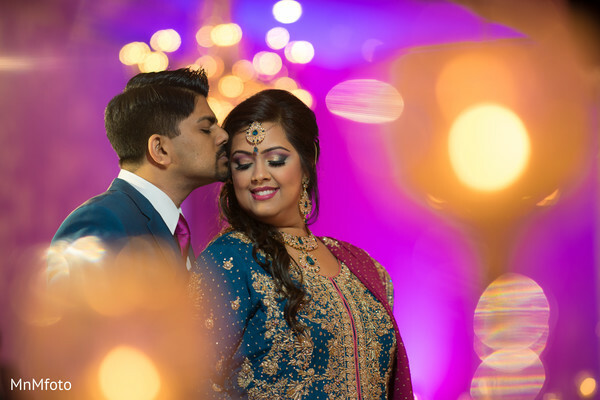 Wasn't today's wedding just too beautiful? 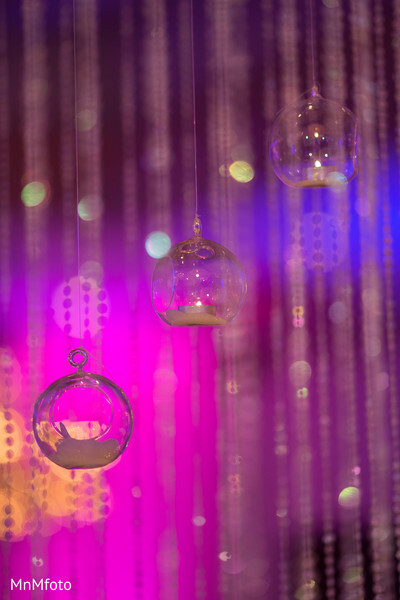 We'll be back with another splendid wedding event tomorrow, so see you then, Maharanis!